In episode 41 we will be covering how you can use the 48 Laws of Power to build your network marketing empire. I don't have time to go through every law, and some of them aren't really applicable to what we do online, but most of them are very sound in some way and will give you both a deeper understanding of human psychology and how you can use it to build your brand and audience. NOTE: This stuff is extremely dangerous and can be used to harm a great many people, so please only use these network marketing laws of power for good. How to ensure your reputation remains unbreakable even when your competitors are badmouthing you. Why attention matters online, and how you can magnetize it to you. 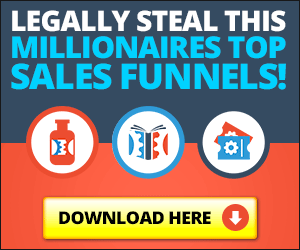 The secret law that creates duplication in your business. The personality types to avoid in your business so they don't infect your organization. How to implement boldness in your business, and why this law is so important for your growth. The mindset quirk you may have that is keeping you from growing your organization! The link above is an Amazon affiliate link, if you decide to use it thank you much! Want to make a couple bucks? Over the next 4 weeks we are going to be holding a contest. Leave a review on iTunes and at the end of the contest if your review is picked we will Paypal you $50!